This is a continuation of the topic Joe's Book Cafe Door 16. This topic was continued by Joe's Book Cafe Door 18. 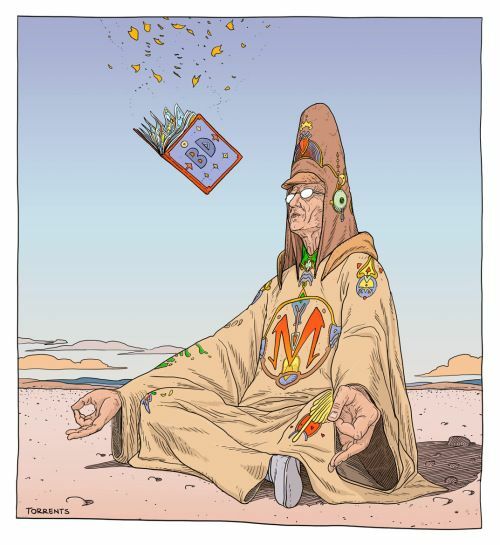 More from our friend Moebius. Welcome back to the cafe! A poem I love from the new Ada Limon collection, The Carrying. This seemed worth reposting - great series! The Murderbot series is so much fun! Rogue Protocol is the latest. Murderbot (who goes under various names in the series) is a highly sophisticated android security unit (SecUnit) who became independent by disabling its governor software. He/she/it originally went on a killing rampage it can't remember, but was refurbished. Now it pretends to be an augmented human, rather than a SecUnit, and does all it can to protect the humans it becomes involved with. A nefarious corporation called GrayCris has been murdering and manipulating to cover up its illegal efforts to acquire valuable alien artifacts. In this one, Murderbot tries to help a former client by gathering evidence against GrayCris from a faux mining operation on an out-of-the-way planet. What may be most remarkable about this series is how likable Murderbot is, as it shows compassion and emotional growth while all the while believing it is irretrievably non-human. Its comments on the flaws of the humans it encounters are frequently funny and always efficiently accurate. Each entry in the series (the first is All Systems Red) is relatively short, novella length at most, and as Mamie says, they're like candy. I can't get enough of them. Happy New Thread, Joe! The Cafe is looking mighty inviting. Hooray for #17! >9 FAMeulstee: It is open, Anita! I was just writing a review of an ER book that I'll post. >10 msf59: Thanks, my friend. 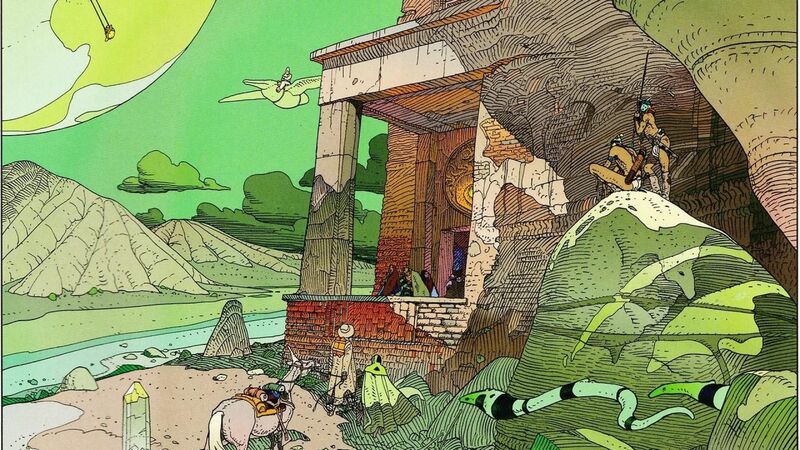 I'm a nut for Moebius, as you've probably figured out. "Open this book on a random page and you could find yourself reading a noir thriller, a fantasy epic, a sci-fi romance, a family melodrama, a locker-room pep talk, a eulogy, a recipe, or a drawing-room murder mystery. Some stories take place over decades, while others are over in seconds. There are at least three talking animals, two sinister cults, and one headless ex-boyfriend. But while the subjects and forms of these stories are decidedly disparate, the stories themselves are unified by one constraint: each is composed entirely of example sentences taken from the dictionary. Twelve different dictionaries, to be precise." I love this concept. This was an ER book. The dictionaries have a lot of variety - e.g. two are for British and American slang - and the sentences often are colorful and surprising. Some are taken from existing literature. Burrows has done an awesome job of cobbling together the stories. The technique creates often startling combinations, and occasionally reads like a game of Mad Libs. Magic, supernatural powers, and the like. I swear by all I hold dear that I had nothing to do with it. Or point me in the right direction. Let's all get the hell out of here. "Living in the digital age can be fiercely expensive, but fish of the Atlantic coast have devious ways of making money They enjoy playing cards, and they play basketball, although on different teams. They don't like to trust their money to anyone outside the family, like crabs and other shelled creatures." So, it contains a lot of fun material, and it may be of particular interest to writers - I could see this approach as a writing prompt. Having said that, it probably would've benefited from being shorter - for me, the parade of oddball stories got a little long. And I couldn't read it straight through - I'd go read something else and come back. If you're looking for something different, this sure fits the bill. But >3 jnwelch: is really great, you must have had a real fun day with Becca, and Rafa is adorable again. I'm glad you love the Moebius pictures. He gets to me every time. Yay for Becca and Rafa! Happy new one, Joe! I hope all is well. 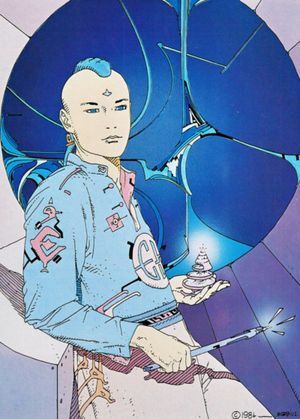 >1 jnwelch: Moebius! That second one is a personal favorite. Just beautiful! >12 jnwelch: Sounds like a quirky read and something to to fill in the time between the end of a denser read before plunging into another. Morning, Joe! Happy new thread! >15 brodiew2: Thanks, Brodie. All is well here. 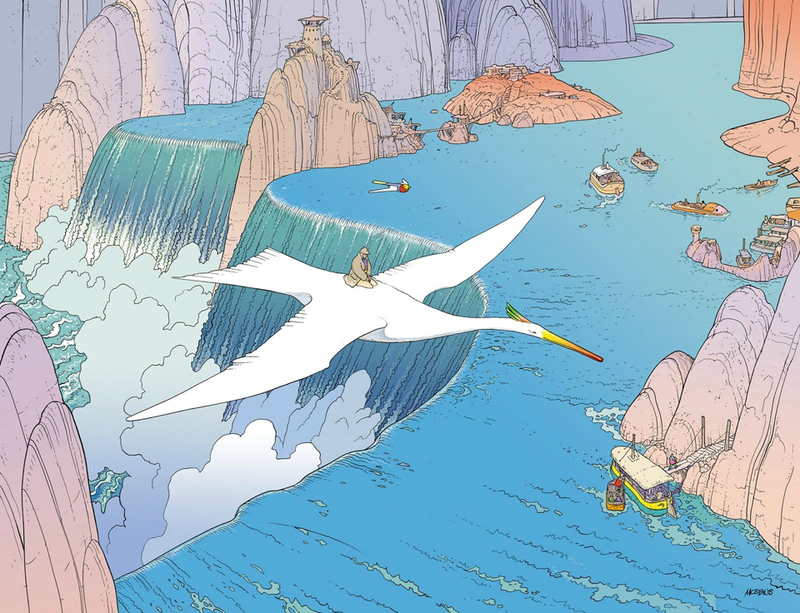 Isn't Moebius great? I love that second one, too. >17 NarratorLady: Hiya, Ann. Dictionary Stories is a quirky read, for sure. If it were shorter, I'd particularly recommend it as a light one between dense reads, in the way you describe. Some may like it as a "dip" into book over a long period of time. I applaud his original concept and the cleverness with which he pulls it off. >18 scaifea: Morning, Amber! Thanks! 'Morning, Joe! Happy new thread. >20 jnwelch: hahaha, love it. Morning, Joe. A bit steamy out here again, but I appreciate the cloud cover. I hope it stays with us. Isn't that Lord's Prayer From Memory a hoot? Amen to that. I remember yours - Yay God, Yay. I wrote one a few years ago that's a little more . . . open-minded than the traditional one. I'll see if I can find it and post it. >23 Caroline_McElwee: Oh good, Caroline. I like to give people a chuckle - we can all use one, right? Thanks for letting me know. >24 msf59: Ha! Wouldn't >20 jnwelch: be fun, Mark? Maybe Candice Millard queued to share her appreciation for your reading? We got a torrential downpour here for a while. I suspect that's worse for you than steamy? Luckily Debbi convinced me to take an umbrella. Hello Joe! 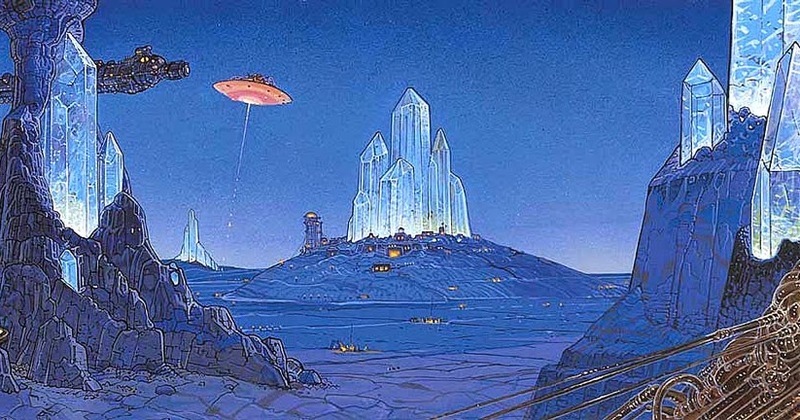 I was just reviewing some more Moebius art work and wondered at his landscapes. I thought I would share a couple. 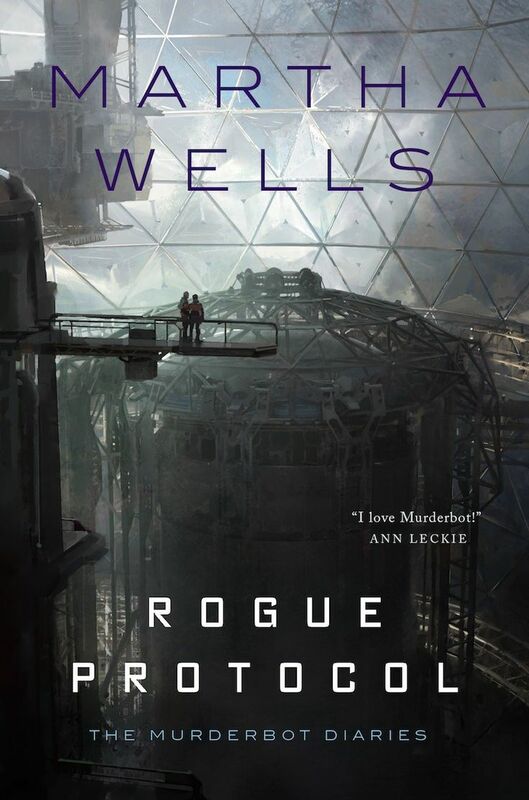 Hi Joe, thanks again for the Martha Wells BB, as you know I loved the first Murderbot story and have already picked up the next one. It's nice to know that I have it in my back pocket for when I need a light, fun and adventurous story! >27 brodiew2: Nice ones, Brodie, thanks. I do enjoy his landscapes. Here's a water scene. >28 DeltaQueen50: Great to hear, Judy. As you well know, I'm another big fan of the light, fun and adventurous Murderbot series. I'm all caught up, so now I'm busy waiting for her next one to come out. Hi, Joe! I'm going to try hanging out in the cafe for a while, see if I can keep up with the pace. Welcome, foggi! Nice to see you here. That sounds good to me. I'll hope the pace suits you okay. Happy new thread, Joe. Lots of interesting pictures here! 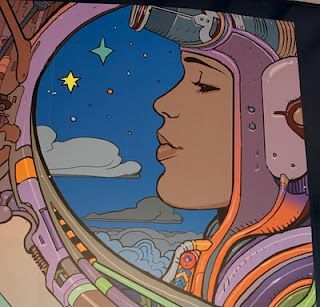 I have read some of the comics that Moebius illustrated, I recognise the style. A series called Blueberry in a comics magazine, that my family sometimes read. It was more like a western, those fantasy landscapes must be from a different source. Happy new thread, Joe! You always have such interesting thread toppers! 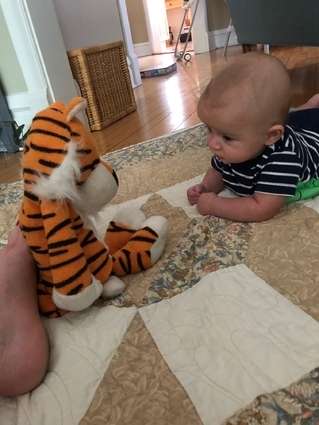 >3 jnwelch: Rafa and Hobbes -- absolutely priceless! Happy new one, Joe. What a cute photo of Rafa and Hobbes. >3 jnwelch: Nice! You and Becca at Comic Con and Rafa contemplating Hobbes! Good pics! >33 Familyhistorian: Hi, Meg! Thanks! >34 EllaTim: Right, Ella? 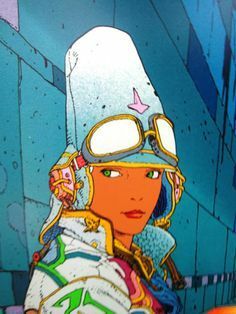 Moebius was really talented, wasn't he. I know he had Western stories; let's see if we can find a Blueberry example. >35 tymfos: Thanks, Terri! I think there should be a new "Rafa and Hobbes" comic strip, don't you? >36 Berly: Ha! Hiya, Kim. Good! >37 Ameise1: Thanks, Barbara. They're quite a pair, those two. Not sure what they're talking about, but it looks important. 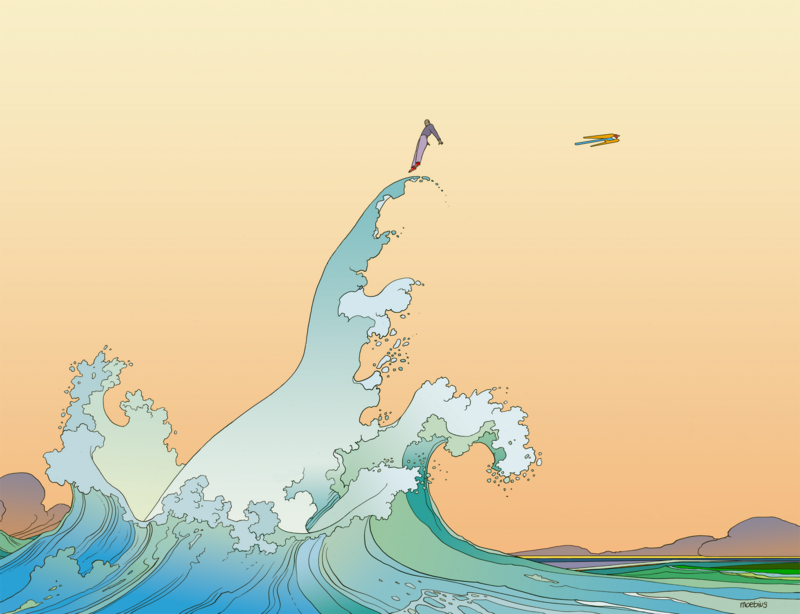 Here's another Moebius water illustration that I love. Your new thread is a visual and literary treat, Joe! But where's the grub?! >44 charl08: I love that one, too, Charlotte. What a sense of space he creates. No report on the new Mosley yet - I just started it, and I'm finishing The Overstory. We fly to the west coast tomorrow, so I should have some good reading time on the flight. >45 kidzdoc: Hi, Darryl. Ha! Hmm, thanks re the thread. Let's see if we can rassle up some grub. How about an eclair? To answer a question you asked on your previous thread, Dragon Con is a massive science fiction, fantasy and gaming convention that takes places in Atlanta on Labor Day weekend. Last year roughly 85,000 people attended the convention, including several of my friends at work, one of whom goes all out to dress up in a spectacular costume (I hope he'll do so again this year). There is also a parade, I think on Saturday, that runs down Peachtree Street. >46 jnwelch: Thanks for the éclairs! >40 jnwelch: I can hear Ennio Morricone now. >46 jnwelch: yum, Eclairs - thanks Joe. >46 jnwelch: I'm fascinated by the green one. I'm assuming it's pistachio, but I wonder what the white squares with the red in them are? Loved "The Lord's Prayer, From Memory". It reminds me of a comedy routine (Mrs. Hughes, I believe) in which a kid thought God's name was Howard...."Our Father, who art in Heaven, Howard be thy name..."
Happy new thread, Joe! Love the pics from Comic Con! That's so great that you guys did that together! 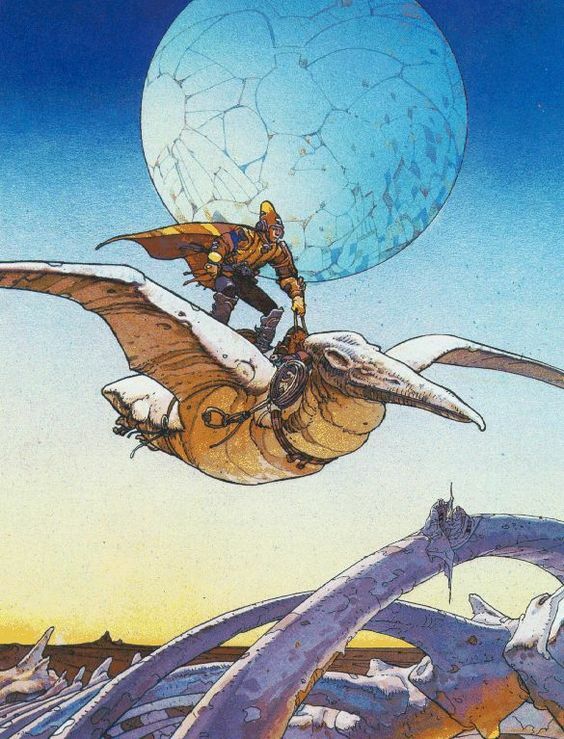 Here are a couple of more from Moebius. 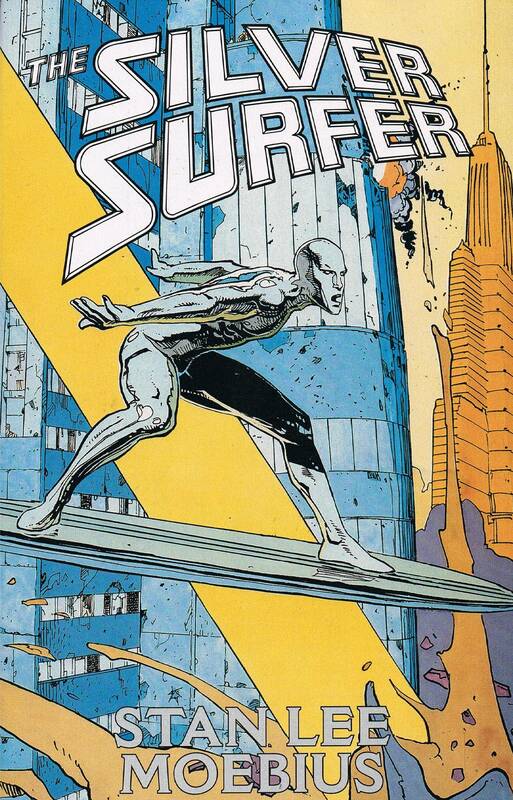 His artwork is perfect for the galactic nature of the Silver Surfer. I also love how his style makes Iron Man's armor look more organic than metallic. >48 kidzdoc: You're welcome! Debbi and I just had two donuts each for lunch, so we're in the spirit. 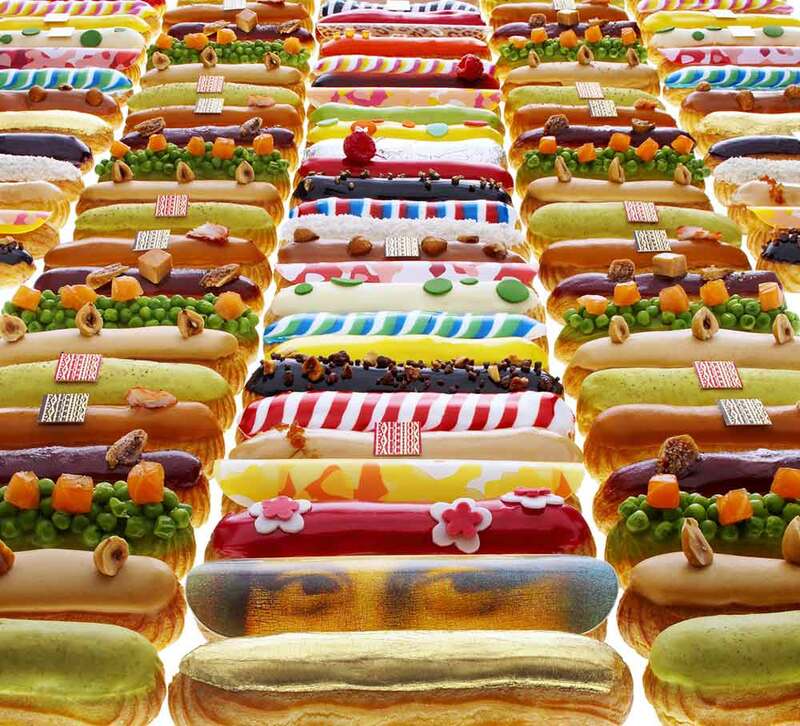 >49 Caroline_McElwee: Don't those eclairs look good, Caroline? Ennio Morricone - epic soundtrack for The Good, the Bad and the Ugly. I can see why he came to mind for >40 jnwelch:. >50 foggidawn: Hi, foggi. You're right, the green one is pistachio. The red is cherry, according to the Melba at the Savoy menu, but they don't say what the white squares are. >51 laytonwoman3rd: Ha! I love that, Linda. Howard! What a great name for our Heavenly Father. Makes him seem much more accessible. My wife used to think the Christmas carol that goes, "Let heaven and nature sing" (Joy to the World) instead went, "We're having a nature sing." We like that better, and usually end up having a nature sing. 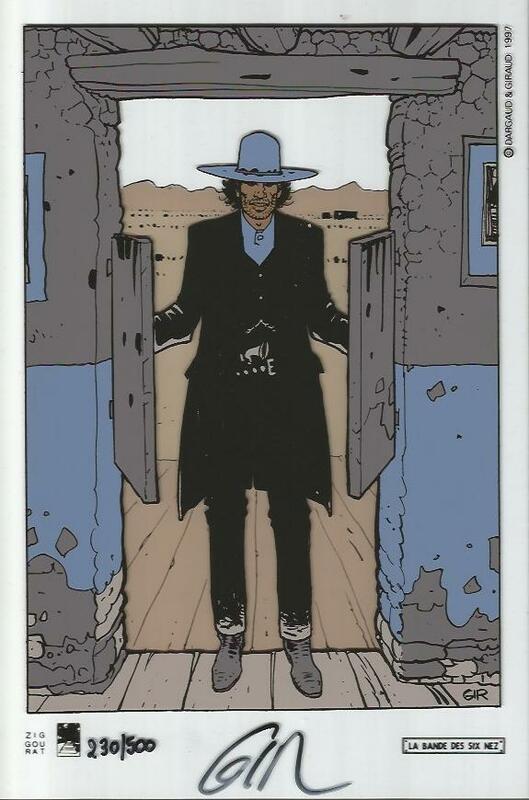 >53 brodiew2: Moebius has such a distinctive style, doesn't he, Brodie. I find those Iron Man and Silver Surfer illustrations much more interesting than the usual Marvel fare. You're right about the armor. A belated Happy new thread Joe, just getting back into the swing of things after helping Amy and Andy with their house move. Sleep has been a most welcome accomplice over the last two days for both of us but the reading this month has taken a battering. Onwards and upwards from now and I have the joy of visiting Hay-on-Wye soon and I have a book accomplice in Amy as Karen has bought far too many this year for my liking, lol. >54 jnwelch: Yep. On top of that Georgia Tech, whose campus is in Midtown Atlanta roughly a mile south of where I live, will play its home opening football game on Saturday afternoon before 55,000 fans, the Braves are playing the Pirates at home, and UGA (the University of Georgia) plays its home opener in its 93,000+ seat stadium. Athens, where UGA is located, is 70 miles east of Atlanta, but many out of towners who attend games there spend the weekend here and drive to and from Sanford Stadium for the game. I'm curious to find out, but I doubt that there will be many empty hotel rooms Intown this weekend! Fortunately the Decatur Book Festival will take place 6-7 miles east of Downtown, so the people there will only be Festival attendees and local residents. Just joshing. Books will undoubtedly be purchased this weekend. >51 laytonwoman3rd:, >56 jnwelch: - Oh! Those are called Mondegreens! I used to have a couple of books of Mondegreens. Sooo funny! >57 johnsimpson: Thanks, John. You've been the hardest working man in the moving business lately, seems like. I'm sure Amy and Andy are grateful. I'll bet the reading this month has taken a battering! I'm glad you're getting into a better period for perusing the books. I envy you visiting Hay-on-Wye. That remains a dream of mine. I'm glad you have Amy as a book accomplice; our daughter is a voracious reader and makes for a wonderful sidekick for book shopping. >58 kidzdoc: Jeez Louise, that's a whole lot of shakin' going on, Darryl. Yeah, I'll bet hotel rooms will be at a premium this weekend. Enjoy the book festival. I had a sneaking suspicion you might buy one or two. We're off to LA for a wedding this weekend, leaving tomorrow. No books will be involved, unfortunately - other than ones we'll be reading on the plane and when time otherwise permits. >59 jessibud2: Mondegreens - love it, Shelley. As Jimi Hendrix used to sing, "Excuse me, while I kiss this guy". Fun stuff! We head to LA early tomorrow for the weekend wedding of my godson. So I'll likely be on LT less. Please feel free to scrum and rumble here, and raid the kitchen, and do anything else that comes to mind. >60 jnwelch: Yep. I'm sure that I'll only buy one or two books this weekend. Cripes. Weren't you two just on vacation last year?! Some people have all the fun. Have a great time in LA! Have a great weekend Joe. ...Taking myself another eclair. Morning, Joe! Sweet Thursday. Happy travels. We will definitely stop by and "scrum and rumble", while you are away. (This must be a Michigan thing...grins). I hope you have a good time with Hell's Bottom Colorado. I loved that one. >62 kidzdoc: Oh, how we deceive ourselves my friend. One or two books, uh-huh. :-) (Yes, I know you're kidding! That's like going into the candy store and buying one or two pieces of penny candy). We're extremely partial to vacations, don't you know. This weekend one seems too short, so we're going to take another, longer one, next week. Maybe we'll see you a time or two on that second vacation? >63 Caroline_McElwee: Ha! I'm glad the eclairs are being put to good use, Caroline. It should be a great weekend. My longtime friend (father of the groom) is very excited that we're coming. Just in case you run low while we're gone. I call dibs on the Mona Lisa. >66 jnwelch: I'll be shocked if I only come away with one or two books this weekend, considering that I'm planning to see 12 author events. >68 Caroline_McElwee:. La Gioconda eclairs make-a me Mona, Lisa Caroline. I’m not so sure about those carrots and peas either, although I bet they taste better than the real thing. >69 kidzdoc:. 😃😎. Have fun booking it, Darryl, and we’ll see you soon! Second vacation is a little bit like Second Breakfast, only better. Safe travels Joe and enjoy the wedding mate. ^You missed me up there, but I forgive. The Cafe can be a hopping place. Another book fair. Oi. We could travel the country and the world going to book fairs, but we'd need more real estate. Hi Joe! Safe travels. I hope you have a wonderful time. >71 johnsimpson:. Thanks, John. We’re safely in our airbnb, and the wedding is tomorrow. It’ll be fun to see old pals, and to see the young couple make it official. >72 EBT1002:. Ha! Vacationing is awfully sweet, Ellen. Hope you get a chance soon, but in a new job, I imagine it’ll be a while, right? Yes, this is a good chance to go crazy in the cafe. Of course, every day is a good chance for that, even when that cafe owner’s around. >73 msf59:. Eesh. What the heck is a matta with me, Mark? Focus, focus, focus. It gets hectic sometimes, but that’s no excuse for missing my pal. >65 msf59:. Michiganders would tell you that “scrum and rumble” must be a Joe thing. It just sounded like fun. I am having a good time with Hells Bottom Colorado. Carolyn just got bucked off of the horse.. I’m also loving John Woman, the Walter Mosley book. (No luck with touchstones right now). We’re lucky to have so many great books out there, aren’t we. >74 ffortsa:. I like that idea of traveling the world going to book fairs, don’t you, Judy? I’m glad they’re still a “thing” is this online world with many non-book-readers (like our foolish prez). If we did it, we’d need more book shelf real estate, wouldn’t we. >75 karenmarie:. Thanks, Karen. We’re here safely, and so far it’s been wonderful. We spent yesterday evening with a niece, her hubby, and their 8 month old. 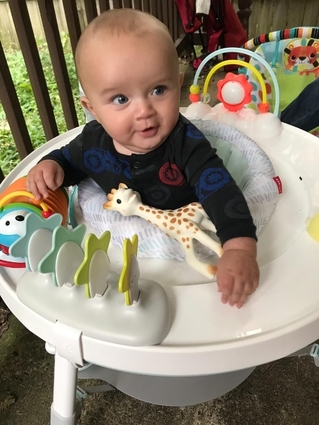 Baby Sam is quite the entertainer; he has big eyes and is curious about everything. He seemed to remember us from earlier this year - maybe by scent, as Debbi said. He was comfortable with us from the get-go. They don’t post photos of him online, so I won’t be able to show his cuteness, but he was a lot of fun to hang out with. Today we get him and the Amazing Rafa, along with those big people that take care of them. >61 jnwelch: I love those Lego images. Have a great holiday! >45 kidzdoc: if only we could understand the little dwarfs talking to their favourite stuffed animal. I like listening to little children babble while watching their facial expressions. >46 jnwelch: >67 jnwelch: I prefer the traditional eclairs to the fancy ones. Just saying. Hope you are enjoying your travels! Hope you are enjoying the wedding and the rest of your time in LA, Joe. Are you going on your next vacation almost as soon as you get home? Hi, Meg and everyone. We’re back safely, and leave for London Wednesday night. We had a wonderful time, and I’ll post some photos later. We’re off to run errands, so I’ll catch up more later. Safe travels tomorrow Joe. I will be travelling to Belfast the same day with my sibs and BIL, for five nights. See you on the 19th. Thanks, everyone. I managed to pick up a lousy cold after the festivities, so I won’t be on LT much today. I hope everyone’s day goes well. Oh, no! I'm sorry that you've acquired a cold, Joe. I hope that it passes soon, and doesn't impact your travel tomorrow. I leave for London tomorrow (Wednesday) night as well. My flight is scheduled to arrive at Heathrow Terminal 3 at 10:50 am BST on Thursday. Unfortunately I apparently can't check into my apartment in Notting Hill until 4 pm; if that's the case I'll have a leisurely brunch (and lots of coffee) at Heathrow, and take a Heathrow Connect train to Paddington that afternoon. See you soon! Edited to clarify departure and arrival dates and times. Oh, dang. Feel better soon, Joe! OK, let's try to catch up! >80 LovingLit: Thanks, Megan! I love those Lego images, too. Thanks - one sorta holiday done (LA), and another about to start (London and Amsterdam). We had a mighty fine time in LA. >81 Ameise1: Thanks, Barbara. I like to watch the little ones babble, too - Rafa is a bigtime talker, although none of us recognizes the language. He and his Bubbe (Madame MBH) go back and forth a lot. We had a lot of quality time with him this past weekend, as he and his parents joined us for the wedding in LA. I so rarely eat eclairs - I suspect either traditional or nontraditional would work for me. >82 ChelleBearss: The wedding went smoothly and wonderfully in LA, Chelle. Did you see the photos on Facebook? We thought we had somehow gotten transported into a fashion magazine. Macy Gray singing the song for the bride and groom's first dance - wow! >83 banjo123: Thanks, Rhonda. We had a great time in LA, and are about to leave for London. Madame MBH and I travel well together; I can't wait until we're situated in our London flat (airbnb) and ready to roll. >84 Familyhistorian: We had a great time in LA, Meg. Lots of family time with our niece, her hubby, and 10 month old Sam, and Jesse and Adri and 4 month old Rafa, and our adopted family at the wedding (the groom is my godson, and our son is the groom's father's godson). >85 jnwelch: Hi, Joe. I can tell you're feeling a bit better. >86 Berly: Right, Kim? This has been one kooky year for travel; my dad's situation added a lot of trips where we'd normally be at home. There's more to come - in October we go to eastern TN, in November we go to western MA, and for T-giving and Xmas we'll be in Pittsburgh. Jeesh! >87 Whisper1: Thanks so much, Linda. You would've loved my dad. Good sense of humor, and a kind man. At times I feel we're so different (e.g. I'm a sports nut and he wasn't), and at times I appreciate the similarities. >88 msf59: Hiya, Mark. I'm glad you got to see the wedding photos on FB. It was indeed a fantastic time. Our friend was so appreciative that we made the journey. A good part of the time it felt like we were in a fashion magazine! Plus we got a lot of quality time with Rafa and his folks, and our grandnephew and his folks. Luckily we've held onto our packing "formula" for London; it makes it a lot easier when everything we need to take and the quantity is listed. It's a bit of uphill work to get it done today, as I'm still not feeling Olympics-ready, but it's worth it. >89 Caroline_McElwee: Thanks, Caroline. I hope you have a wonderful time in Belfast with your sibs and BIL. I'll look forward to hearing tales of it on the 19th! >91 Caroline_McElwee: Pretty close to fixed, my friend. I think it was the body's revenge for all the travel. Lots of sniffles and coughing, but I'm nearly back to normal today. Fingers crossed the fair Debbi doesn't pick it up. >92 kidzdoc: Thanks, Darryl. I'm feeling much improved. We're hoping Debbi hasn't gotten it - we're pretty good about that, with one of us rarely getting what the other has. We may see you at Heathrow - Terminal 3? We arrive around the same time on American, I'm pretty sure. I've grown to like the overnight flights. Since ours is an airbnb, we can get in when we get there. See you soon! >93 scaifea: Thanks, Amber! I do feel better. Still not out of the woods, but way better. Looking forward to being in London! We love it there. >99 jnwelch: Sounds good. I'll shoot you a text after I arrive at Heathrow Terminal 3. My apartment is close to Bayswater station, one stop away from Paddington on the Circle and District Lines, so I'll take a Heathrow Connect train (which takes longer but is considerably cheaper than the Heathrow Express train) from Heathrow Central to Paddington, and either take the Underground from there, or, more likely, book a cab from Paddington to Notting Hill. I'll either cook dinner in my apartment or go to Andina, a nearby Peruvian restaurant on Westbourne Grove. I'll call my apartment complex after I arrive at Heathrow to see if I can check in earlier than 4 pm. >101 kidzdoc: Sounds good, Darryl. We've got the Picasso exhibit at the Tate tomorrow afternoon, and dinner at an Italian restaurant where we always go our first day in London. P.S. I was off on the arrival time - we get in to Heathrow at 9:05 am, so we probably won't see you there. What a tennis match between Nadal and Thiem last night! I got to see a lot of it. Both hard hitters, and a lot of amazing shots. Epic win for Nadal. Good morning Joe! I hope all is well with you. I am nearing completion of The Lonely Men for the American Author Challenge. I'm a little late, but it's odd how long a 200 page book is taking to read. I started another epic audio in The Way of Kings. I'm 4 discs in and enjoying it so far. I may go half way and switch back to Grant Chernow to finish that one up. It has been a sparse year, but a couple of giant tomes is nothing to shake a stick at. >104 brodiew2: Good morning/afternoon, Brodie! All is well. We're prepping for a trip today across the pond. Good for you - how have you liked the L'Amour? I've enjoyed the Brandon Sandersons I've read, but haven't tried The Way of Kings. I'd still like to read that Chernow at some point. Yeah, a couple of giant tomes can make for a lot of quality reading. >106 drneutron: Good to know, Jim, thanks. Is it the start of a series, or a standalone? >102 jnwelch: Nice. Bianca and I will see the Picasso exhibition at Tate Modern at noon on Friday. I became a Tate member last year, so I may see it again early Sunday morning during members' only hours (8-10 am) before I head to Bishop's Stortford to have Sunday roast at the Capeners. Yes, we definitely won't meet up at Heathrow tomorrow morning! I'm a bit nervous about my flight to JFK, as I only have an hour layover between flights. If the flight from Atlanta is delayed I could be in trouble. >108 kidzdoc:. OK, buddy. Fingers crossed for your hour to connect. We’re going nonstop. The Picasso exhibit may be worth a revisit. Good for you for becoming a Tate member. If we were there more often, we’d do it, too. Please give Rhian and her hubby our best. What fun! Looking forward to the meet up pics which will surely come soon. Safe travels! >110 Carmenere: Thanks, Linda. I'm taking my iPad, which I'm not good at transferring pics with, so the photos may come when we get back instead of during. We'll see. Safe travels, Joe and have fun! Safe travels, Joe, see you in Amsterdam! >107 jnwelch: It's the start of a series planned for 2 sets of five books each. The first three are out now. >112 jessibud2: Thanks, Shelley! Will do! >113 FAMeulstee: Thanks, Anita! See you there! >114 drneutron: Woo, that's a major reading commitment, isn't it, Jim. I wonder what the reception has been to the first three. Wishing you all a good flight to London and a nice time there. The Picasso exhibition sounds good! Hope you and the missus have a wonderful trip, Joe! >100 jnwelch: When did you find time to pose for that Joe? >111 jnwelch: easy to upload to your LT junk drawer from iPad if you have time. Go to photos, junk drawer, upload then it will give you your collections, presto. I recommend before that, doing a tiny edit on the photo, otherwise when you load to LT it flips them, no idea why. >111 jnwelch: I use my iPad Mini as my computer away from home, so I can show you how to transfer photos from it or your phone. The train ride to Amsterdam might be a good opportunity to do that. >103 jnwelch: Amazing match!! Thiem is going to be a force in the future. Have fun with Darryl and all the sights. Safe travels, Joe. You must be on your way now. Nice to have a nonstop flight. I have some connection horror stories that I drag out when anyone talks about theirs! >116 EllaTim:. Thanks, Ella. We’ve safely arrived after a smooth flight, and will be heading to our flat soon. We see that Picasso exhibit this afternoon. Oops, gotta go. Welcome to good old Europe, Joy. Enjoy the Picasso exhibit. >117 DeltaQueen50:. Thanks, Judy. It’s so good to be back in London! We didn’t come last year because of our Barcelona trip, and we missed it. >118 Caroline_McElwee:. Ha! You see a certain resemblance in >100 jnwelch:, Caroline? 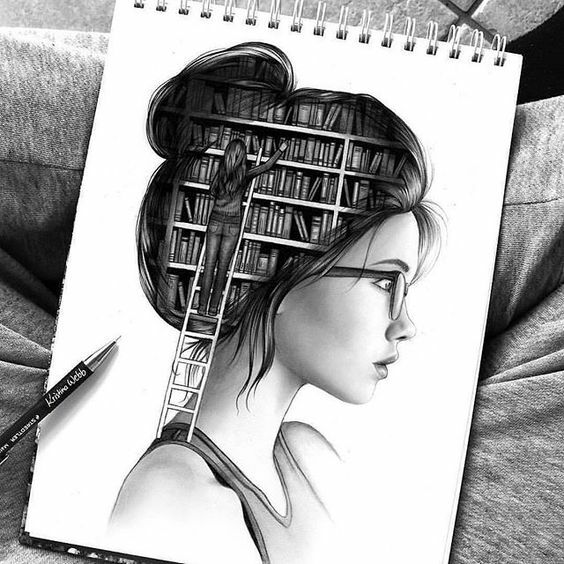 I wish I could do tricks with books like that. Thanks re the iPad. I’ll have to explore that. I see below that Darryl is offering a train tutorial. This will be good. Welcome to London, Joe! I arrived safely and on time, and I'm currently having brunch at The Market Gardener in Heathrow Terminal 3. See you soon! >121 Familyhistorian: I had a tight connection at JFK last night, with only an hour between flights and a jitney ride from Terminal 2 to Terminal 4. Fortunately the flight from Atlanta arrived early, and I arrived at the departure gate at JFK just as the flight started the pre-boarding process. >119 kidzdoc:. Sounds great, Darryl, thanks. We’re in our Islington flat. Debbi just said you arrived at Heathrow - hurray! We look forward to seeing you soon. >120 Berly:. Wasn’t that an amazing tennis match, Kim? I saw Thiem say something like, that’s the first epic match he’s been in. 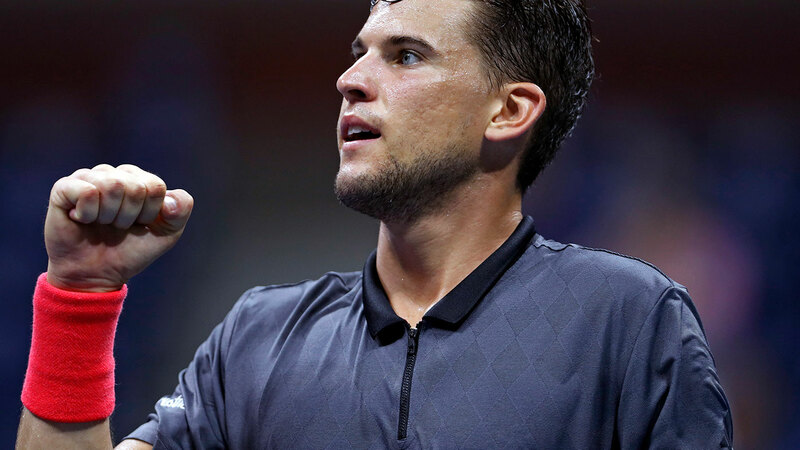 I had the same thought you did - Thiem is going to be a force going forward. He’s got the goods. That first set was ridiculous. >125 kidzdoc:. Good to hear, buddy. We worried about you with that tight connection. Welcome to London! >121 Familyhistorian:. Thanks, Meg. Yes, we’re all set. We just need to stay awake long enough to see that Picasso exhibit and have some dinner. The 6 hour time difference takes some adjusting to. >123 Ameise1:. Thanks, Barbara. It’s good to be here. If we won the lottery, one of the first things we’d do is buy a London flat big enough to have the kids visit while we’re in it. Sweet Thursday, Joe! Glad the Welch Dynamic Duo arrived safely in London. Have a fantastic time. Look forward to reports. Glad to see you have landed safely in London! Enjoy your trip! Looking forward to hearing about your theater choices and visits to bookstores and other venues. As usual, we're on different trajectories. Same itineraries, different times. We were in London last year and will soon be leaving for the US west coast! >128 msf59:. Thanks, Mark! As you’ve probably seen on FB, we’ve been having a fantastic time. The Picasso exhibit at the Tate Modern was really well done - they took one year in his life, 1932, a particularly creative and tumultuous one, and arranged the paintings and drawings chronogically. Fascinating, with an excellent audio guide. Last night we saw Aidan Turner (Poldark) in Martin McDonagh’s The Lieutenant of Innishman. He was hilarious in a very dark-humored play involving in-fighting between between the IRA and a splinter group. I know, an unlikely premise, and it was violent, too, but so absurdly funny. >129 ChelleBearss:. Thanks, Chelsea. We’re safe and sound in our Islington flat, and having a great time. >130 NarratorLady:. Ha! I’ve had a milestone birthday or two meself, Anne, so I know what you mean. A flat for the whole family in Covent Garden - how great! What a location. We buy lottery tickets when the prize gets insanely high - it’s fun to dream. We saw a great play last night, The Lieutenant of Innishman, with very dark humor. I describe it a bit in the post above. Next, I’m pretty sure, is the new comedy by The Play Goes Wrong people, and then King Lear with Ian McKellen at the helm. There are a bunch of good bargains on Kindle today, including Cheryl Strayed’s Wild for $1.99 and The Fault in Our Stars for $2.99. I’m near the end of the new Montalbano short story collection, Death at Sea, which has grabbed me bigtime per usual, and about halfway through Buddha by Deepak Chopra, which a friend recommended. The latter is serviceably written, and an entertaining imagining of Buddha’s life. Hi, Joe! Wishing you tons of fun on your adventure...! >136 Berly:. Thanks, Kim. Honestly, it’s hard not to have tons of fun here. It’s perfect for us. We spent lots of time in Foyle’s bookstore today, in between eating great food and enjoying the street life. Wow! McKellan as Lear? I am jealous. >137 jnwelch: "We spent lots of time in Foyle’s bookstore today, in between eating great food and enjoying the street life." Sounds perfect. I will be using a few vacation days - in pairs - this fall to travel back to Seattle for shows at the 5th Avenue Theater. We had renewed our season tickets before we knew we were moving. In October we see "Come From Away" again -- yay! We also see "Annie" and "West Side Story" this season. But next weekend we're driving back to the city for our nephew's wedding. It will be all family, not too much time for shopping or dining out. I am SO looking forward to it! We will dine on Thursday at our favorite Italian restaurant in our old neighborhood. We're also taking the whole week of Thanksgiving off to travel back to Tennessee to visit aunt and cousins and to Asheville to see my sister and her partner. Next "big" vacation may be Palau in May or June. >138 banjo123:. Right, Rhonda? We can’t wait to see McKellan as Lear. Aidan Turner was quite excellent hisownself. >139 EBT1002:. Sounds like you’ve got a lot of fun times lined up, Ellen. We loved “Come from Away.” We miss our forays to Seattle, although we we were sorry to hear that our favorite cafe, Black Coffee, closed down. We’ll be in eastern TN next month to visit Debbi’s brothers. Palau sounds like and exotic trip. I’ll look forward to hearing about that one. Mentions of eastern Tennessee make me curious about whether others have Tennessee ancestors who fought on the Union side...? >132 jnwelch: Oooh McKellan as Lear? That should be marvelous. And it seems you'll balance that nicely with a rollicking comedy. Good planning! Tell Debbi that her photos are making me drool with jealousy. You had an absolutely gorgeous day for Kensington. Went to tea in the Orangerie last year, definitely a special celebration place. >141 m.belljackson:. Not us, Marianne. Our eastern TN relatives are transplants. That must’ve made for some divided families and communities. >142 NarratorLady:. Hi, Anne. I know, McKellan as Lear; can’t wait! Last time we were here, we saw him with Patrick Stewart in a Harold Pinter play. I’ll let Debbi know about the jealousy drool. :-). She takes great pics, doesn’t she. It was a gorgeous day for Kensington Park, and we got over to Hyde Park, too. That Christo sculpture was striking. We head off to a Cambridge day trip shortly. Have a great time in Cambridge, Joe! Let me know if you want restaurant recommendations from Fliss. Finally caught up here, Joe, to discover that you are off gallivanting again! Hope you are feeling better and that your day trip is fantastic. >144 kidzdoc:. Thanks, Darryl. We had quite a day - on the move throughout. Fascinating history - Sir Isaac Newton, Darwin, Alan Turing, Stephen Hawking and on and on. No time for a Fliss restaurant recommendation - we grabbed a sandwich and a latte (for me) and got back at it. As always, amazing to be around buildings dating back so many centuries. King’s Chapel was particularly beautiful. But I’d still vote for “the other place”, its rival Oxford, for visiting. We did eat at an excellent little Italian restaurant on Grays Inn Road when we got back. >145 ronincats:. Hi, Roni! We’re gallivanting again, and having a fine time of it. I am feeling better, thanks. I’m so grateful the dratted cold didn’t interfere with our adventures. I’m still feeling the vestiges, and making liberal use of the cough drops, particularly in the theater, but it hasn’t held us back from doing anything. The day trip was fantastic, thanks. A 45 minute train ride to Cambridge from London, and we had an experienced, very knowledgeable guide. We felt quite intellectualized at day’s end! Hi, Joe. It sounds like you are having a wonderful time in London. Not very surprising, right? I have seen some of the photos of FB and it all looks amazing. Glad you found a good lager too. Too bad about our Bears last night. They looked great in the first half but completely flat in the 2nd. Rogers is truly a marvel. >147 msf59:. Hey, buddy. We’re having a wonderful time, for sure. I’m glad you’re catching the photos on FB. You’d love the pubs here! Good brews everywhere. I read about the Bears game. Too bad about the last minute loss, darn it. That Rodgers has been a Bear killer for so long. But it sounds like there were a lot of positives. I’m still amazed they picked up Khalil Mack, and we’re starting to see what Roquan Smith can do, right? Today we tour St. Paul’s cathedral, and we may take it easy after that. Lots of walking yesterday! The flat we stay in is near St. Paul’s, and we’ve never been inside. Cuckoo. So this year we’re making it happen. It’s a Christopher Wren design, and miraculously survived the Blitz in WWII. I’m reading The Delight of Being Ordinary by Roland Merullo, a novel in which Pope Francis and the Dalai Lama take a road trip in Italy with the Pope’s cousin and the cousin’s wife, and Convenience Store Woman by Sayaka Murata, a staff recommendation at Foyle’s. Your book description sounds like the beginning of a joke;-) Is it funny? >149 jnwelch: well you will read this too late Joe, but my brother is a steward at St Paul's (Ryan), so you may have passed him today. It is a wonderful building. Glad you are enjoying your travels. We got back from Belfast last night. Hi Joe! I hope your trip continues to be a delight. >150 EllaTim:. Thanks, Ella. It was quite a day. The Delight of Being Ordinary has a fair amount of humor, but it’s otherwise straight on. Pope Francis and the Dalai Lama have each been having unsettling dreams, and decide on a visit to leave their famous lives and mingle as ordinary folk. Expert disguises work. This author Roland Merullo wrote Breakfast with Buddha and Dinner with Buddha, and likes to imagine enlightened folks among us, and how that would play out. It’s a theme that appeals to me. This has been another fun one - I’m nearing the end of it. >151 Caroline_McElwee:. Ah, too bad, Caroline. We would have looked for and asked for Ryan. It is a beautiful building. I hadn’t known that bombs had actually hit it, or the efforts made to defuse the sentry bombs that hit near it but didn’t immediately explode. How amazing that St. Paul’s survived the blitz. We loved all the history, as well as the beauty. Christopher Wren apparently demanded that there be no monuments inside the church - what would he think of all the monuments there today? And Queen Victoria decided that the choir ceiling should have the ornate tiles. We thought - good idea, actually, but overly ornate. More subtle would be better, yes? It was quite moving to see the American chapel in tribute to all the American soldiers who died during WWII. We lighted candles for our loved ones who have passed away. We did make it up the stairs to the Whispering Gallery (didn’t work for us), and then the next two levels up outside the tower. Quite a view of the area! Debbi posted some photos on FB showing it. 528 steps - we’re feeling it today. I’m icing a knee, and Debbi’s doing back stretches. The tour guide was very good, and one story she told was why Churchill demanded that his body be transported to Blenheim via Waterloo station rather than the more natural Paddington. He knew French General DeGaulle would attend the service, and wanted him to be reminded one more time about England’s victory over the French at Waterloo. >152 karenmarie:. The trip does continue to be a delight, thanks, Karen. Tonight we meet brother Darryl (kidzdoc) for dinner and see Ian McKellan in King Lear. Looking forward to it! >154 jnwelch: Love the Churchill story! It's tidbits like that that make tours of historic places so entertaining as well as informative. We attended Easter Service at St. Paul's last year but opted for brunch afterward instead of climbing the 528 steps, wimps that we are. Wish we'd had the tour guide though. >154 jnwelch: haha, yes, Ryan does those stairs twice a day. Just popping by to say I have been enjoying the fb updates posted by MBH, looks like a grand old time you are all having!! >156 NarratorLady:. Hi, Anne. We both thought that tour guide was awfully good. We love picking up the history as we go, and she was steeped in it. We got to hear both Great Tom and Great Paul ring while we were there - Great Paul while we were up above, looking down at the Clock Tower. We managed to do both the 528 steps and brunch at Fuller’s Pie and Ale. We felt we really earned the brunch/lunch! I had the best fish pie there I’ve ever had. >157 Caroline_McElwee:. Wow, I’m impressed with Ryan, Caroline. Doing those stairs twice a day would be quite a challenge. I wonder whether we did meet him. There were two fellows (at different times) by the mid-level stairs helping people, and we chatted with both of them. The Lear was terrific. Ian McKellen was amazing. Near the end of a three hour play this 79 year old guy actually carried Cordelia out from the prison on his back. What?! We had seen him before on stage, but in this role . . . Jeez Louise. And his voice, with all its subtleties, projects even when he seems to be whispering. We’d seen Lear done three times before this, but this was easily the best. >158 Ireadthereforeiam:. Hiya, Megan! I’m glad you’re keeping up on FB. We are indeed having a grand old time. Today is a bit of an LT day, as we’re meeting Darryl, Claire (sakerfalcon), Paul Harris (Polaris) and a non-LTer for lunch and then probably going to the V & A and having some dinner. As Debbi said, seeing McKellen in Lear was the experience of a lifetime. He was mind-bogglingly good. Even his hand on heart bow at the end was something I’ll never forget. He seemed connected to each and every one of us as we stood and applauded and shouted. >159 jnwelch: Oh my gosh, how cool to see Ian McKellan in Lear! >162 bell7: It was so cool, Mary. We’ll never forget it. McKellen is one of those guys I wish was a pal of ours. I would love to sit and listen to him talk about anything. His Lear was . . . monumental. Best we’ve ever seen, and I doubt we’ll ever see its equal. Another lovely day here. If you’re on FB, check out Madame MBH’s photo post. Darryl has promised he’ll post the meetup photo here. 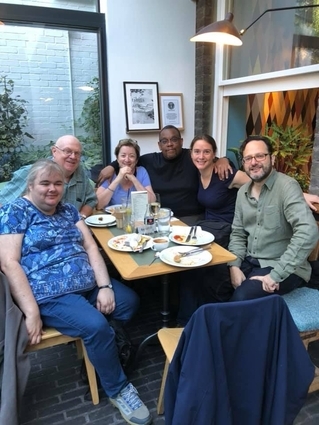 We met at Tibit restaurant behind the Tate Modern, which had a glass-roofed back garden area that we sat in, and very good vegetarian food - the mushroom risotto was a favorite for me, and the carrot and walnut muffin. You filled up your plate with whatever, and paid by weight - that’s a new one for me. Delicious. Then we took to the tube to the South Kensington area, and had a productive ramble through the very good South Kensington bookstore. At some point I’ll list books acquired here, but Wonderland, a yearlong series of essays about wildlife in the UK, was one of my purchases. We then hung out in the excellent museum cafe for a while, yakking and having peppermint tea for Madame MBH and a latte for me, and a quite moist and delicious piece of mango and raspberry cake that we shared with the group. After that, we tubed and walked to the Barbican where Darryl and Bianca are seeing a hip hop dance performance. We begged off, as we’re taking a very early train to Amsterdam tomorrow. We did have dinner with Darryl, Polaris, Sakerfalcon and Lucy (the non-LTer) at Pham Sushi. Darryl and I had the eel dish (I can never remember the name starting with “U”) and Madame MBH had the chicken teriyaki. Now we’re back at the flat getting organized, cleaned up and packed. Hope everyone’s doing well. >164 jnwelch: Sounds like a good day, Joe! Safe travels tomorrow and looking forward to meet you and Debbi! Another full day for you all Joe. Happy travels tomorrow. I'm looking forward to trying out Darryl's find, Titbit, certainly new to me. I see there is one near Regent Street too. For all those green with envy about the McKellen Lear, it will be screened via NTLive broadcast to movie theaters in the US and elsewhere starting soon, maybe next month. Not quite the same as being in the audience, but I'm glad we have tickets already! >167 ffortsa:. Excellent, Judy. Wait until you see it! 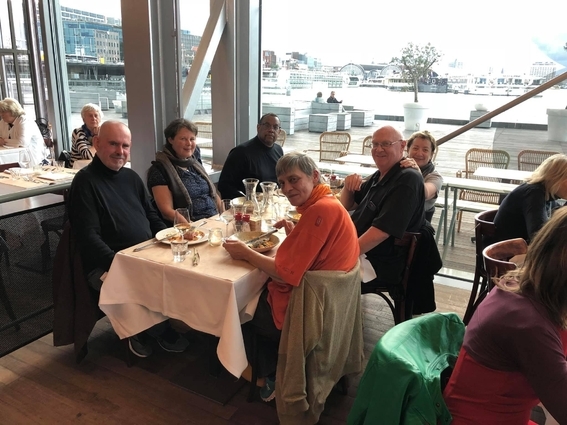 We met up with Anita, her hubby Frank, Ella (EllaTim) and Darryl at 4’33 Cafe along the water near the Amsterdam Centraal train station last night. Wonderful time - such nice folks! 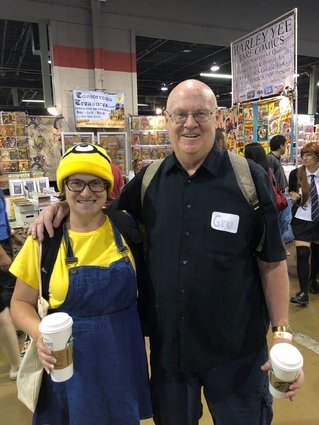 >168 jnwelch: It was so good to meet you and Debbi in real life, Joe! >169 FAMeulstee:. Ditto, Anita! What a treat to spend time with you and Frank, and Darryl and Ella. Go Feyenoord! Happy Saturday, Joe! Hooray for the Dutch Meet Up! You guys have become amazing ambassadors! Enjoy the rest of your stay! If you ever return here, we will show you around in our beloved city! Sounds like everyone is having a great time. Any photos that are not on facebook? >171 msf59:. Happy Saturday, Mark! We had a great Dutch meetup. LT folks continue to be the nicest folks ever. What a pleasure to meet Anita and Ella, spend some more time with Darryl, and meet Anita’s charming husband Frank. We had another great day today. Anne Frank’s House - I’d never been. So much encapsulated in her life, and that place, and the lives of those around her. At least two messages, and I’m sure many more: Never again, and every time you step out your door, be grateful, because she couldn’t step out hers - or even be seen in a window. Then we hung out on the street at Il Panorama cafe, as you probably saw on FB, having lattes (chai latte for Debbi) and scrambled egg sandwiches. Feeling lucky! From there we walked to the Flower Market - beautiful, and ended the day with a canal tour. Gorgeous day for it. Now we’re back in the lovely backyard in Zaandam, listening to the water flow and catching up with home. >172 FAMeulstee:. Ha! I thought you’d appreciate that, Anita. We’ll be watching for how Feyenoord fares. We’re already looking forward to our return some day - thank you for the offer! >173 jessibud2:. Hi, Shelley. Everyone is having a great time, you’re right. I do have a number of non-FB photos that I’ll post here when we get back. I hope you’re catching Debbi’s on FB; she’s pretty thorough. And Darryl’s. I don’t have my laptop, so posting pics isn’t in the cards. Check out Darryl (kidzdoc)’s thread. I’ll bet he’s got some posted. I have really been enjoying the pix you and Debbi (and Darryl) have been posting on FB. I am very envious of your luck in seeing Ian McKellan in King Lear - it sounds like you had one of those rare and special experiences that will stick with you. So jealous! >176 RBeffa:. Thanks, Ron. I’m glad you’ve enjoyed the FB pix. You’re right - seeing McKellen in Lear was a rare and special experience that will stick with us. It gets me every time I think about it. LTers are just the best, aren’t they. Being able to meet such nice, well-read, interesting people around the country and across the pond is a real privilege. Glad you had a lovely meetup in Holland Joe. I look forward to seeing the photos. It's years since I was in Zaandam, I had a friend who lived there then. >175 jnwelch: - Sounds like a great time. I remember visiting Anne Frank's house. Chilling. Did you get to any mueums, such as the one for Van Gogh? I am not on facebook so I will either have to wait until you can add some here or else, just enjoy the descriptions. Such is life. Not facebook is a deliberate choice, for me. I know I miss a lot but c'est la vie. >174 jnwelch: Hi Joe, it was really nice to meet you and Debbi! I'm glad you had a nice day today, the flower market is one of my favourites. Very friendly place after the chilling visit to the Anne Frank house. Wishing you an interesting museum day tomorrow. >178 Caroline_McElwee:. Hi, Caroline. The Airbnb we’re staying at in Zaandam is peaceful and lovely. The llamas Debbi took pics of are near us. Was your friend’s place nice? Today we visit the Van Gogh museum and the Rijksmuseum. >179 jessibud2:. Hi, Shelley. Chilling is a good word for the Anne Frank house. Never again. You’re not the only one to make that no-Facebook choice. I’ll see if I can talk Darryl into posting some here. Van Gogh is today, along with the Rijksmuseum. Can’t wait! >180 EllaTim:. It was really nice for us to meet you, too, Ella! Thank you for making the time. We loved the Flower Market. How great to have a whole market dedicated to that. We’re bringing back some USA-certified tulip bulbs. We’re about to leave for the museums! Van Gogh Museum is one of my favourite places in the world, though probably even more crowded these days. Enjoy Joe. Looks like you've all been having a great time! Enjoy the rest of your stay! >183 Caroline_McElwee:. We loved the Van Gogh museum, Caroline! We spent almost 3 hours there, and loved every minute. The multimedia guide was exceptionally good, too, as were the interactive exhibits. We particularly liked a sketchbook of his that we could virtually leaf through. What a genius he was. They really help you understand his influences (I hadn’t realized how important Millet was to him, for ex), and his learning curve and really coming into his own. Terrific museum. We also went to the more old-fashioned Rijksmuseum, which had its own delights. The Rembrandts, like the Night Watch, were a treat but oh my, the Vermeers! The one with the young woman pouring looked like it was painted yesterday. >184 ChelleBearss:. Hi, Chelle! We’re cooling out in our lovely flowered Zaandam backyard overlooking a narrow canal, as chickens and cats ramble around and get along fine. We had a put-together dinner of local Arxhock Amsterdam cheese (nutty and some of the best I’ve ever had), crackers from a nearby bakery, apples and a Chilean Cabernet Sauvignon, with frosted waffles (caramel for me, strawberry for Madame MBH) for dessert. Great way to end a mighty fine day! >188 kidzdoc: Ohh, That's a nice one! >186 kidzdoc:->188 kidzdoc:. LOL!! Thanks, Darryl. Maybe I made a mistake in shaving my skull after that second one in >186 kidzdoc:? >189 EllaTim:. Right, Ella? Debbi won that tussle, but somehow that meant I paid the bill. I guess they both won. Howdy, Joe. Loving the photos, especially the Rat Pack one...grins! You guys have been doing a stellar job posting on FB. Nice to follow along on the trip. Are you guys heading back this week? ^^I like Debbi's pipes too!! 😂😂 Nice looking group of people at the meetups! >191 msf59:. Thanks, Mark. With only the 3 of us now, we’re in need of Rat Pack members. How fast can you get here? Lucky us - we return next week, not this one. Right now we’re heading back to London on the Eurostar train. We’re tuckered from a great visit to Amsterdam, and smiling. In >186 kidzdoc:, clockwise from the bottom left, it’s non-LTer but well-read Lucy, Bon Jovi Joe, Debbi (walklover), Darryl (kidzdoc), Claire (sakerfalcon), and Paul (polaris). In >187 kidzdoc:, it’s Frank (hubby of Anita), Ella (EllaTim), Darryl, Debbi, some cafe owner, and Anita (FAMeulstee). In >188 kidzdoc:, it’s She Rock versus the Hammer. Do you have another week in your Uslington pad Joe? Santa was just chilling (North Pole style) before the hectic holiday season. No surprise, but it was great to see he’s a reader, too. >195 NarratorLady:. We do have another week in our Islington flat, Anne. I’m glad to report that, after a fair bit of travel, that’s just where we are! It’s good to be back. Post from Debbi coming soon on FB. Great photos of your meet-ups Darryl and Joe. >198 jnwelch:. Thanks, Caroline. See you tomorrow! Looking forward to it Joe. Great meet up pics, and I must add what a fan I am of the international flavour of it. >201 LovingLit:. LOL! Madame MBH is a tough one, Megan. I’m glad you’re enjoying the meetup pics. 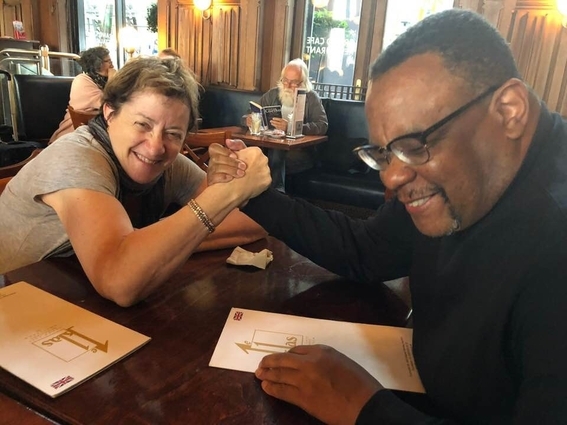 One of the remarkable things about Librarything is how we all get to connect over so many miles. It’s a treat to finally get to meet distant LT friends in person, or to reunite with them. I am not on Facebook either and like you - it's a choice I made. I love seeing the photos of all the meetups. I have had a great time with the LT meetups that I have managed to make and wanted to try to get to the one in Springfield, Missouri as that group looked they were having fun out there in the State of Misery. All the meetups across Europe are wonderful to see as well. 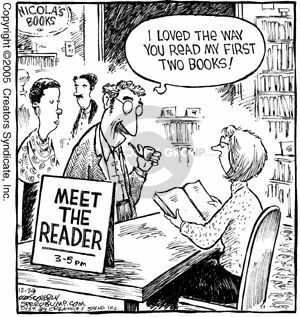 Who knew that book readers were such social gadfly's! Looks like you are having a wonderful trip, Joe! Love following your adventures, Joe. Sounds like an absolutely wonderful time. And hooray for a Meet Up with Caroline. Thanks, Benita, Judy and Mark. I’ll respond a little later. We’re off to York for today and tomorrow. We had a lovely dinner with Caroline, and hope to see John Simpson tomorrow. Have a great time in York, Joe! I head back to Atlanta tomorrow afternoon, so I wish you & Debbi a great last week in the UK, and I hope that we can do it again next year! I'm feeling nearly back to normal, so I'll meet Claire for lunch in Regent's Park, weather permitting, see a play at the Orange Tree Theatre in Richmond, have dinner with Bianca at The Gate, where y'all met yesterday, and we'll see the English National Ballet perform at nearby Sadler's Wells, to close out another fabulous trip to Europe. If you see him, please give my best wishes to John & Karen. >203 benitastrnad:. Hi, Benita. Yes, I think Darryl is the king of LT meetups. >186 kidzdoc: Is it wrong of me to wonder if we are ALL of an age to be able to name each of the suave fellas in that first photo? Fun fun fun. Good times. Smiling faces. >125 kidzdoc: That sounds like a walk in the park, Darryl. There was one trip that I was on from Glasgow with a connection through Heathrow which was delayed. When we got to Heathrow we had to go through security again and were already late but had to stand in line. The flight that I and 15 other Glasgow passengers were catching was the last flight from Heathrow to Canada that day. We ran from security to the gate and the gate personnel were waving to us to hurry because they were holding the plan. That is a tight connection. Looks like you and Debbi are having a wonderful time, Joe. Enjoy your time in York. I really should get back there one day, I only visited once many, many moons ago. Afternoon Joe, it was lovely meeting up with Madam MBH and you for supper the other night. So, what did you do in York in the end? Was there a book haul in one of the secondhand bookshops? Hey Joe! I'd be amiss if I didn't tell you how much I've enjoyed the pics posted on FB. Everything looks fabulous, yes, including your meals! Love Darryl's meetup photos! It always makes me happy to see book lovers together. >203 benitastrnad:. We had another lovely LT meetup today with John Simpson, Benita. As nice a man as you would expect, and awfully good company. We had coffee at Belle’s Boffe in York and yakked, and then he guided us to the Shambles, an intriguing shopping street that showed a lot of love for Harry Potter. I’m not sure how much understanding we get from stateside friends when we explain we’re going to meet up with LTers anywhere, not just over here. An online group of book readers that get to know each other, and like to meet in person when they can? We’re an unusual group. >204 DeltaQueen50:. We are, Judy, thanks. We just got back to our London flat after two days in scenic York. The history there goes so much futher back there than what we’re used to in the U.S. and Canada. The York Minster cathedral is built on top of Roman ruins (which we got to see), and you’ve got Normans and Anglo-Saxons and Vikings and who knows what-all having had their impact there. It’s on the far north edge of the Roman Empire, and there are still remnants of defense forts to fight off invaders from Denmark and so on. >205 msf59:. Thanks, Mark. We had a lovely get-together with Caroline a couple of days ago, and this morning we met with John Simpson at a coffee shop. He expressed some envy that you and I can get together so easily.:-). Once again he proved the axiom that LT people are the best people. >207 kidzdoc:. Hiya, Darryl. I can’t believe you went home and didn’t stay here with us! We should have planned this better. Woo, that’s quite a last day you had planned; I’ll have to get over to your thread and see how it all went. I’m sorry you got conflicted out on dinner with Caroline; I’m glad to hear you’re feeling better. I passed on your best wishes to John (Karen had to go back to work, darn it, so we didn’t see her). What a nice man. I’m hoping we can coordinate a get-together with all of us next time. You’re probably home by now? I hope you had a smooth trip. >209 laytonwoman3rd:. At least some of us can name all of the guys in the first photo in >186 kidzdoc:, Linda. I bet Peter Lawford and Joey Bishop would be a bit of a challenge for some who otherwise have, ahem, the requisite exposure. >210 weird_O:. Hi, Bill. All true. Today we were dreaming about winning the lottery and buying a place near York, to go with our London flat. There were more good times and smiles today with LTer John Simpson. >211 Familyhistorian:. Yikes, that’s the kind of travel story we try to avoid - I ran for airport gates when I was young, and don’t want to do it no more, no more. We feel blessed with the direct flights. There are benefits to living in an international hub. We meet people here all the time who have been to O’Hare on their way somewhere else. Many have actually been to the city proper. >212 Caroline_McElwee:. Ditto, Caroline - we’re so glad we got to spend time with you, and what a fun evening! We hoped to find that Quilt Museum you mentioned, but it turned out it permanently closed. Darn it (oops, that’s a bit of pun here, isn’t it?) Online it says its collection travels to other museums now. We spent an afternoon in York Minster, and that was fascinating. Our timing was excellent; we joined a free guided tour shortly after arriving, and learned a ton. The Roman ruins beneath were an especial treat for Debbi, who is an archeologist at heart. Today we met with John Simpon at a coffee shop, and generally rambled around the shops, finding some cool local yarn for gifts, and various other items. No books this time - can you believe it? Shaking head, hard to believe Joe. Sorry to hear about the quilt museum, I really loved it. My sister will be disappointed too. Glad you had a good time. >213 Carmenere:. Hiya, Lynda! Ha! Darryl got us into that habit of taking photos of the meals. There are those times when we’ve hungrily scarfed down half the meal before remembering, but we’ve done pretty well this trip. I’m glad you’re enjoying following along on Facebook. We used to do a written journal every day, and then our daughter’s Italy postings inspired Madame MBH to try this instead as a record of our trip, and we’re really liking it. >214 The_Hibernator:. How’s it going, Rachel? Thanks. We’ve been enjoying the LT meet ups, as you can tell. Book lovers are the best people, aren’t they. If only we could all teleport and see each other more often! >221 Caroline_McElwee:. I know, Caroline, I know. You should’ve been there when Darryl didn’t even come into the South Kensington Bookshop to avoid temptation. We all gave him a hard time for it - well, Debbi in particular. Yeah, it’s a shame about the quilt museum. It sounded like just our cuppa. I haven’t mentioned what I’m reading, have I? The Overstory was really impressive, and I see it made the Booker shortlist. Definitely recommended. I enjoyed the latest Montalbano mystery, Death at Sea - always a treat. I thought Deepak Chopra’s novel of Buddha was serviceably written and worthwhile if that’s an interest of yours; a friend had recommended it. Then I read another of Roland Merullo’s Buddhist novels, The Delight of Ordinary Life, that I did discuss up above a bit, and had a rollicking good time with it. The Dalai Lama and the Pope on a road trip together -what’s not to like? Skeleton God was another good entry in the Inspector Shan mystery series set in Tibet. I thought this one particularly brought home the damage China has done to Tibet and Tibetans, but in an afterword Eliot Pattison said his most significant point was that Tibetan culture persists despite the oppression. Night and Silence is another good October Daye fantasy from Seanan McGuire, and Depth of Winter is a riveting new Longmire story set in Mexico. Right now I’m reading Bloody Rose, the follow-up to the funny and unusual rocknroll fantasy Kings of the Wyld, featuring Golden Gabe’s rambunctious daughter, and then I can’t wait to dive into the new Comoran Strike and Robin mystery from Robert Galbraith/J.K. Rowling, Lethal White. P.S. I also just finished Convenience Store Woman, a novel by Sayaka Murata. I loved it, but I’m sure it’s not for everyone. If you’re looking for a different sort of read about an outsider trying to figure out how to be “normal”, give it a try. >224 jnwelch: I’m about halfway through Lethal White, and enjoying it just as much as the earlier books in the series. It’s a hefty chunk, though, at 650 pages! Great, that you could meet John. He and Karen are a lovely couple. We met them some years ago. I enjoy your travel on Debbi's FB. You have a splendid time. Wishing you and Debbi a lovely weekend. >225 foggidawn:. Oh, good for you, foggi. Can’t wait! She left us on quite a cliffhanger in that last one, didn’t she. >226 Ameise1:. We’re looking forward to meeting Karen, Barbara. John mentioned how much he enjoyed meeting you. I’m glad you’re enjoying the travelogue on FB - a couple of good meetup photos with John there, too, yes? It looks like a lovely weekend here. Today we plan to spend time on the south bank of the Thames and then see a dramatization of Dame Agatha’s Witness for the Prosecution that’s being performed in a courthouse. Our Agatha-loving daughter is mighty envious. I shall be taking a look at the Merullo novels Joe, hadn't heard of him. And the novels set in Tibet. I wouldn't be surprised if The Overstory won the Booker, it is an outstanding novel. I'm going to the Booker readings next month, and hope to have read at least a couple more of the shortlist by then. great meet-up pics! Glad that you are having a great trip! Love all the pictures, here and on FB. (nice ones Darryl!) So glad you are having fun, both with people and places. That Agatha Christie play sounds interesting, Joe. I hope that you and Debbie enjoyed it. How was the play. Happy Sunday. >228 Caroline_McElwee:. Oh good, Caroline. I hope you enjoy trying the Merullo books and the Inspector Shan mysteries. For the former, I suggest starting with Breakfast with Buddha, the first of them. The first Inspector Shan mystery is Skull Mantra. Witness for the Prosecution was so much fun! Putting it in the London County Hall courtroom was genius. There was even a jury, made up of audience members. Richard Clothier as Sir Wilfred Robarts was outstanding, and the whole cast was top notch. As always, Dame Agatha is the master of the unexpected twist. Isn’t The Overstory outstanding? I’d love to see it win the Booker. >229 drneutron:. Yeah, meeting up in person with online friends is kind of a foreign concept to most people, I guess, Jim, and avid book readers aren’t as common as we’d like, and our delight in the meet ups is a bit of a head scratcher for many, I sense. Occasionally someone will think that all sounds great, and will want to know more about LibraryThing. We just had that happen with the young woman who waited on us and John Simpson at the York cafe. I hope she decides to join. >230 ChelleBearss:. Thanks, Chelle! It’s been a great trip. We’re finally getting socked with some crummy weather - we’ve been awfully lucky weather wise on these trips, but now it’s around 50 and pouring. We’re still going to go out and do a street art tour - luckily we brought layers and brollies. >231 Berly:. Thanks, Kim. Bless Mr. Darryl for posting those pics. I’ll do some more once we get back. We got a couple of nice ones of meeting with John Simpson I’d like to get up asap. >232 Familyhistorian:. We had such a good time at the play, Meg. It was set in a real courtroom, a fancy old one with ridiculously comfortable seats. The cast was great, especially the fellow playing the defense lawyer (Richard Clothier). Some in the cast had “Midsomer Murders”, a BBC tv show we enjoy, in their credits, which we got a kick out of. >233 Ameise1:. We loved the play, Barbara. I comment on it a couple of times in posts above. It was an adaptation by Dame Agatha of her Witness for the Prosecution, and it was superbly done. They had one place in the courtroom where they could make setting changes, and they did that very cleverly, creating the lawyer’s office, a back alley for one scene, and so on. I didn’t really expect such high quality acting; my happy mistake. Oh, that's wonderful. It sounds like my cup of tea. >237 Ameise1:. Our Agatha-loving daughter is quite envious, Barbara. I’d recommend it to anyone who enjoys mysteries in the theater, or just good theater. >236 jnwelch: That play sounds amazing! Between that and Sir Ian’s Lear, I’m quite envious. >239 charl08:. Thanks, Charlotte. I’m really happy for Richard Powers. He’s such a smart writer (The Goldbug Variations), and I’ve been hoping he’d find a story that matches his talents like this. It’s excellent holiday reading, IMO. Ha! I hate those extra charges they throw in. Good for you for using Every Single Gram. >240 foggidawn:. We love going to the theater here, foggi. Last time we saw McKellen and Patrick Stewart in a Harold Pinter play. This time I’d add Aidan Turner (Poldark) in a darkly funny Martin McDonough play to our top theater experiences. Last day here! We had a good breakfast at a neighborhood joint down an alley (J+A) and after some packing and cleaning are about to treat ourselves at St. Bart’s cafe (a favorite - beautiful old church with a lovely cafe in what I guess is the narthex area - stone with a view of the church garden). Yesterday was quite a day with a street art tour, Spitalfield’s market, and a delicious dinner at a Mexican (!) restaurant recommended by our tour guide. When we first started coming here, lo those many years ago, there were no Mexican restaurants to be found. In fact, finding any good restaurant wasn’t easy. That has changed dramatically, and today the city is full of good restaurants; it’s hard now to find a bad meal. I’ll post some of the street art when we get back. We lucked out - the weather went from 40s F and pouring in the morning to 50s and clear in the afternoon when we took the walking tour. Amazingly, at the gathering for the tour, we met a woman who lives right near where our daughter teaches in Chicago (Lincoln Square). She was visiting her London sister, who also was on the tour. Not only is Lincoln Square quite near where we live in Chicago, but she knows a number of people on our block, including some close friends. That’s our smallest “small world” story yet. Chicago was in the house and representing! What a wonderful trip you are on, Joe and family! Great pictures on facebook too! I also enjoyed Convenience Store Woman. I agree, I enjoyed it, but it is quirky and it won't be for everyone. But a nice shortie, as Mark would say. Hi, Joe. We were camping in MI, for a few days, so I didn't get around to the threads much. Love your current update though and I hope you enjoyed your last day in merry old England. It really sounds like a stellar trip. Good luck with your travels tomorrow. The weather is gorgeous in Chicagoland. Thanks, Deb and Mark! We leave for the airport in a few minutes. Safe travels Joe and Madam MBH. >236 jnwelch: I have been watching Midsomer Murders for years and am a big fan, Joe. Who from there was in the play? >243 vancouverdeb: I'm glad you also enjoyed Convenience Store Woman, Deb. I wouldn't have known about it except for a Foyle's staff recommendation. It reminds me in a way of Strange Weather in Tokyo by Hiromi Kawakami, which I also enjoyed but wasn't/isn't for everyone. I like that kind of deadpan delivery of an unusual point of view. >244 msf59: Thanks, buddy. That looked like a great camping trip on FB. I'll get over and visit on LT today. We're back - pretty smooth traveling, all things considered, although a mighty long travel day. We slept to a reasonable hour and are starting to adjust to the time difference. It was a stellar trip, for sure. One weird and wonderful thing: I'm reading an Anthony Horwitz mystery on the plane, The Word is Murder, and right near the beginning he (the author is a character in this one) mentions going to the J & A Cafe on Clerkenwell, an obscure but good one that you reach via a narrow alley. We had just had breakfast there the day before! >246 scaifea: Thanks, Amber! We're here and all is well. Lots of catch-up to do, but that's okay. It was nice to sleep in our own bed again. >247 Caroline_McElwee: Thanks, Caroline - and thanks again for joining us at The Gate. It made a special trip that much more so. >248 Familyhistorian: Midsomer Murders is great, isn't it, Meg. Our London friends said new episodes are still being produced, so we have some more enjoyment when we finish the 19 (!) seasons on Netflix. We're up to Season 12 or 13. Glad to hear that you are safely back home. >251 Ameise1: Thanks, Barbara. We enjoyed the heck out of our trip, but we're glad to be back home. Home sweet home - I know. >253 Ameise1: Ha! Right? Home sweet home, no matter how sweet the trip was. BTW, I just finished Cormoran and Robin #4, Lethal White and LOVED it. So good to be back spending time with the two of them. I'll work on getting some photos from the trip posted, and starting a new thread, but I thought I'd better get a Rafa photo posted asap! >256 jnwelch: such a cheeky chappy. He is very engaged with who he is 'talking' to there. >258 Caroline_McElwee: Ha! I love that expression; I'll tell Madame MBH, Caroline. I suspect Rafa's 'talking' with one of his lovely parents. The new cafe is open. See you there!